Data Migration can be complex and time-consuming. It is crucially important that data integrity is maintained. Amber Green’s data migration service extracts data from any existing system and transforms the data into the format required for loading into the target system. By using a well-defined process and reusable SQL scripts data is migrated completely and accurately, and data integrity is ensured. 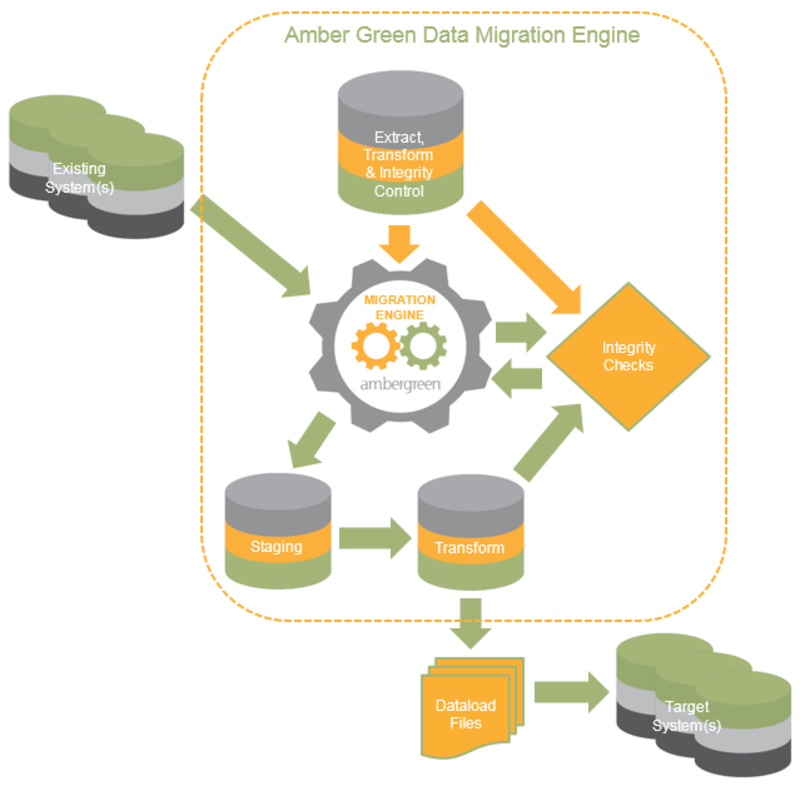 At the heart of this process is the Amber Green Data Migration Engine. This stores the definitions of all data extraction details from the source system, and the transformation required to deliver data ready for loading into the target system. It also stores the definition of data verification checks that will be applied to the the source data, the transformed data and the loaded data to ensure data integrity is maintained. This provides confidence to the system suppliers and owners that the data has been migrated completely and accurately.